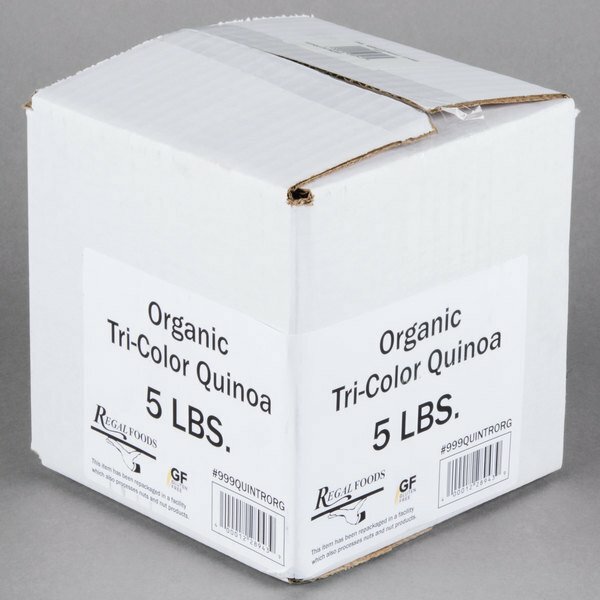 Regal Foods Organic Tri-Color Quinoa - 5 lb. 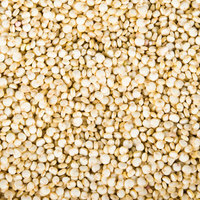 This Regal Foods organic tri-color quinoa makes a naturally delicious and nutritious addition to any recipe! "An excellent price for the product. We are so happy with this quinoa mixture. Comes well packaged. We fully recommend this product. A must for organic enthusiasts." 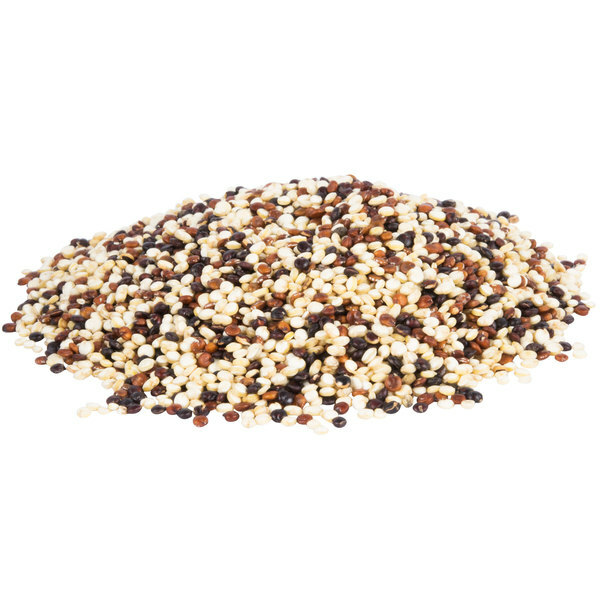 Quinoa grows in different colors, and although the taste is similar among the varieties, you can choose the color that is appealing for your recipe. 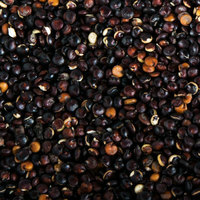 This red, black, and white quinoa blend will add color to any dish! 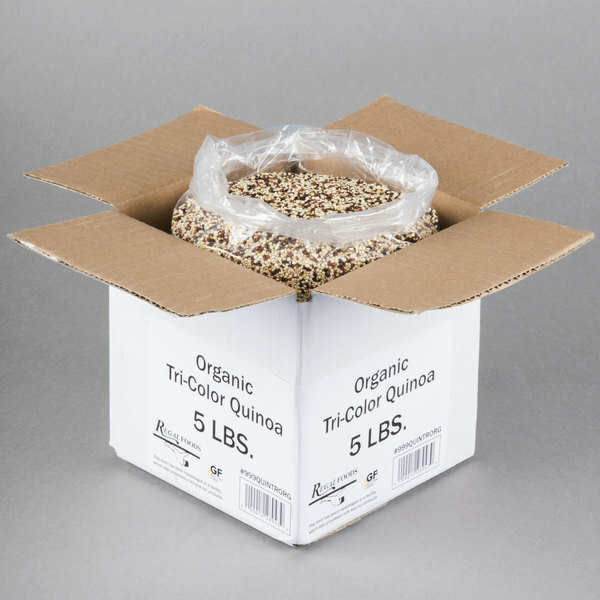 Overall User Rating: Regal Foods Organic Tri-Color Quinoa - 5 lb. We love how this product looks! We mix it with the brown basmati rice and it makes a really nice presentation. The price on this is great as well! 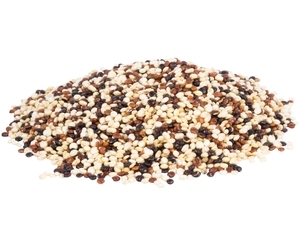 This quinoa is a great deal. I thought I found a good deal at a particular grocery store, but this price beats it. It comes packaged with a twist tie, but I prefer to store it all in a large glass jar. Beautiful color, excellent texture, easy to make. I boiled 2 cups water to 1 cup quinoa and it came out perfect! Fluffy and moist, tastes great cold or hot. Will order again soon! This is some great Quinoa, for some reason I really like the tri color and this did not disappoint. Its a great bonus that its organic and tastes great! Also it came nicely packaged and secure. My kids think it is funny to joke that we are eating worms.... from the worm-looking husks (or whatever it is called) after the quinoa is cooked! They love the flavor and beg for seconds. I love that this is a super nutritous food at a great price, especially for organic food! The quinoa looks beautiful, as expected. I haven’t cooked with it yet since I just got it, and just portioned it out into 1 pound bags. Imagine my surprise when the last bag only held 9 pounds, 9 ounces! I know those little buggers like to roll around and get lost, but there’s no way I sprolled that much. 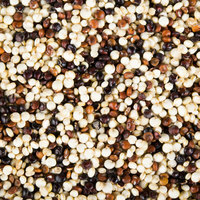 In fact I was extremely careful, knowing the mobility of quinoa. At the most a tablespoon escaped, probably not even that much. So in figuring the price per pound, take this into account. As much as I try to enjoy quinoa I just can't. It has a very pleasant texture and softness about it but it leaves a strange aftertaste. Tri colored quinoa!!!! Does it get any better than this? 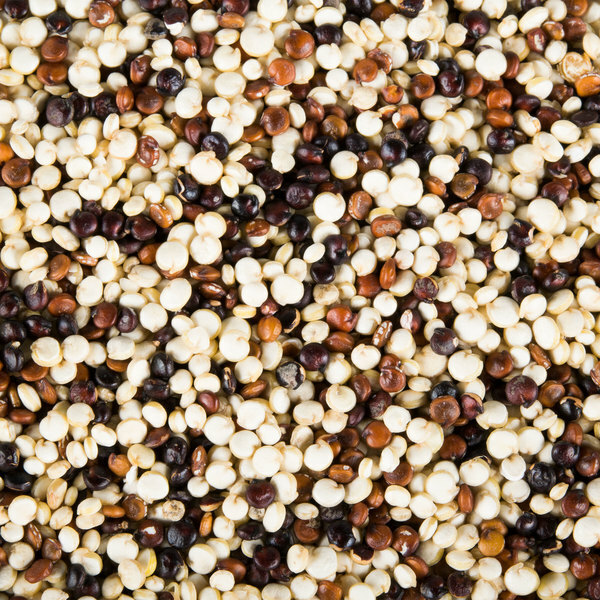 Quinoa is packed full of nutrition, fiber, vitamins and protein and is sooo GOOD for you! 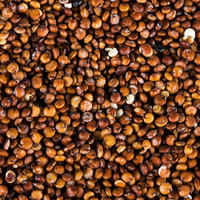 This is just beautiful and the brown and black quinoa has a very nutty like full flavor. I love cooking with multi colored quinoa! The price and quality are great and I love having it in bulk since I eat it so much! An excellent price for the product. We are so happy with this quinoa mixture. Comes well packaged. We fully recommend this product. A must for organic enthusiasts.